by Betsy: Hey, THANKS for that! One of the blogs I follow is Sue's Tangle Trips. 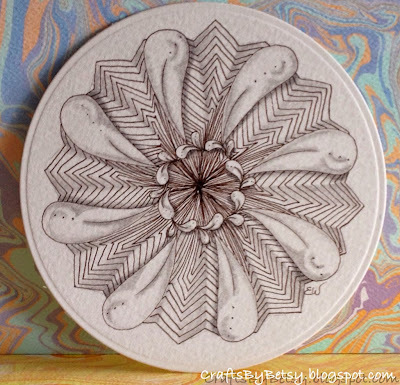 In this post she provided information about a cool "toy" she was using to string her Zendalas. She even has a link where you can go straight to them in Amazon and she gets a small percentage. I checked them out and couldn't believe how inexpensive they were. I did try to find them locally at a couple stores but was unsuccessful. So, I bought the Ravensburger Classic Mini Mandala Designer by going thru Sue's link. I actually put 3 different ones in my cart but only purchased one (for now). Here are 3 examples of how I used it. The first (completed above) started out like this. Sorry the string is a little hard to see, but it's in pencil. As Sue mentions in her post, the pencil is a little problematic to use through the small areas of the stencil, however I have a pencil sharpener that does both a standard point and a longer, thinner point. I found that if I used the latter and kept it sharp, it worked in all but the very narrowest stencil points. 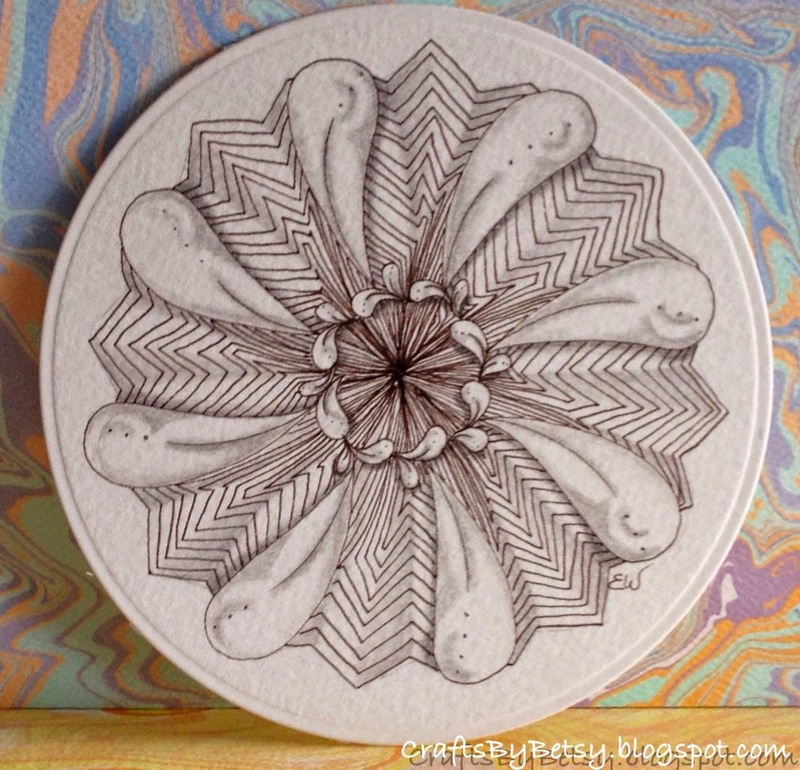 This Zendala uses the tangles Flux and Maryhill. Because of the points in this Maryhill, I shaded it like I would Static. So I guess you can call it a Staticky Maryhill! For this second mandala, instead of a string, I used the triangle and circle as part of the tangles Rixty and my own, Egg and i, then filled in the "eggs" with 'Nzeppel. For the third, I simply pencilled in the petal shape and filled it with Printemps. 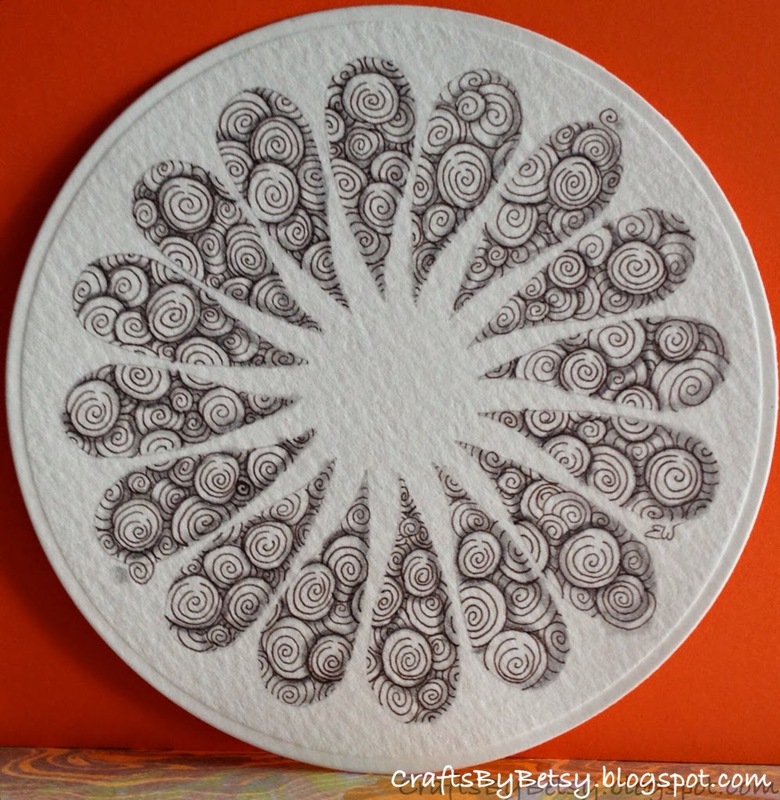 Instead of using the Zendalas from Zentangle.com, I cut my own circles from heavy watercolor scraps. I would have preferred the Zendalas because they are so nice, but as my supply was running short, the watercolor paper is a great alternative and I can use up my watercolor scraps. I used Spellbinders Grand Nestabilities, Grand Circles set. One is 4.75 inches which is just slightly larger than the official Zendala. 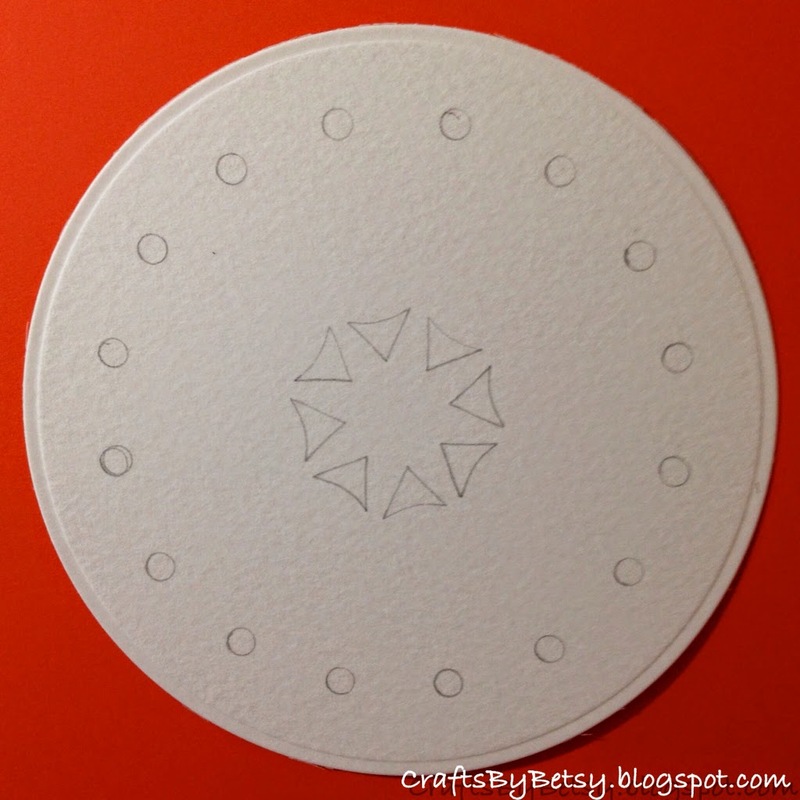 The Spellbinder die also embosses a nice edge on the circle. You can see this embossed edge in my photos. 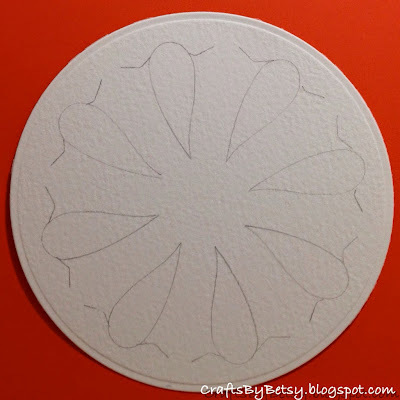 Another plus is that I can also cut a layer slightly larger for a "mat" if I choose. Of course you need a die cutting machine that will accommodate the size of these dies. So back to my original thought, I have lots of major players to be thankful for in my life. But it's also important to be thankful for those little things that just make each day better too. So, thanks Sue for the tip! 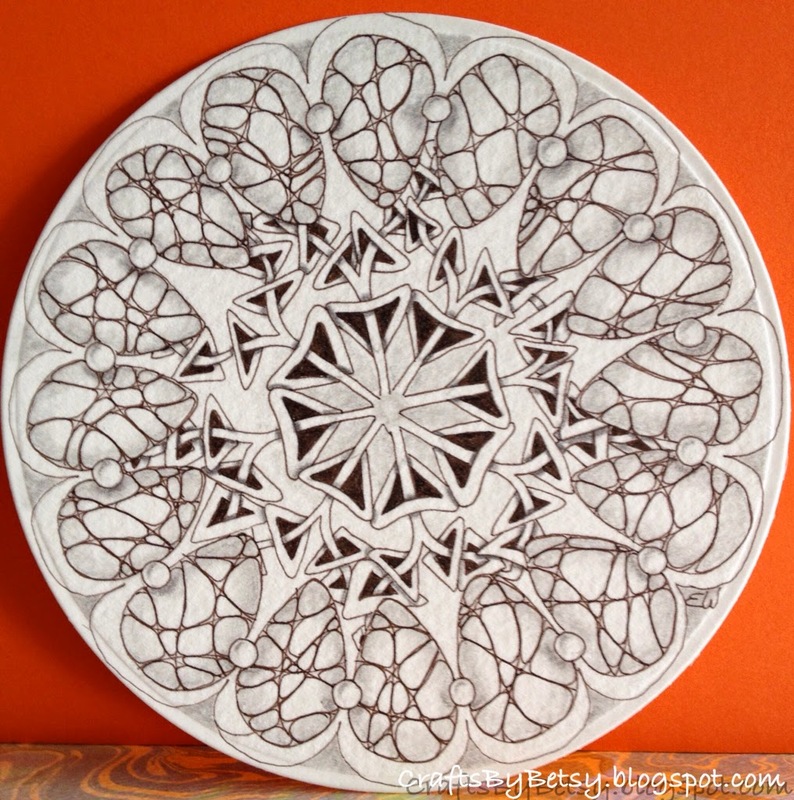 This has been great fun and I'm gonna add at least one more Mandala Designer to my next Amazon order as well! I encourage anyone reading this to go through Sue's link if they want to purchase. 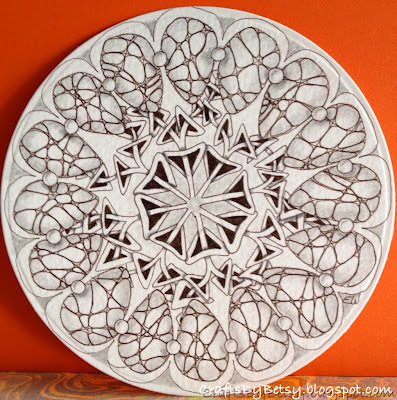 Beautiful Zendalas! Thanks so much for sharing that. I love seeing what others do. It's almost like the class mosaic that we do at the end of classes.